Need to repair something or fix a squeaky door? We have just what you need with our top of the line adhesives and lubes. 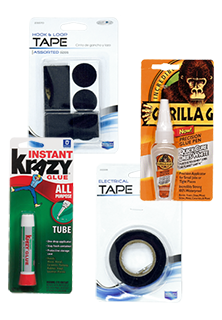 We have brands from the well known WD-40 to Gorilla Glue. Order now! We have the lowest prices in the nation. GUARANTEED!